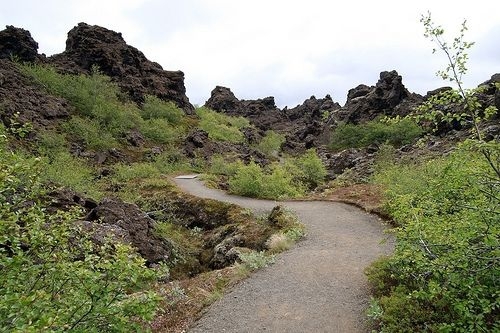 As one of Iceland's most popular natural tourist attractions, Dimmuborgir is a large area of randomly strewn lava rocks, cliffs and unusually shaped lava fields situated east of Mývatn. 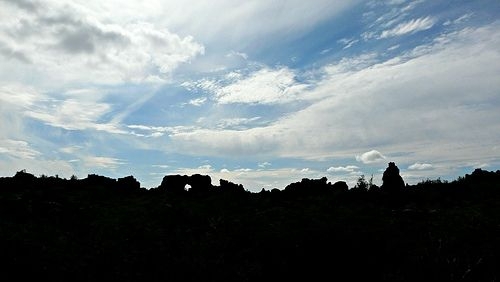 Surrounded by vegetation including low bushes and plants, Dimmuborig is composed of various volcanic caves and rock formations that are reminiscent of an ancient collapsed citadel. The most famous formation is 'The Church', a cave that is open at both ends with a dome-like ceiling. 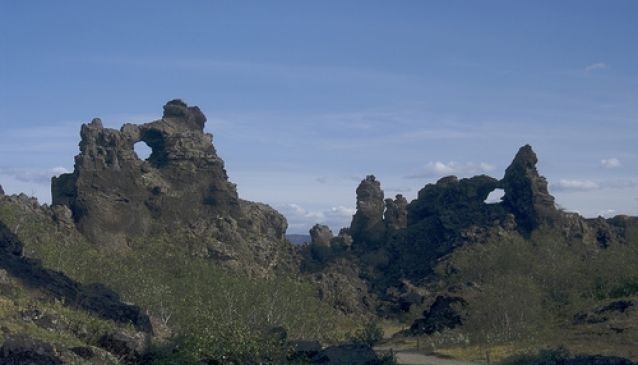 Several of the chambers and pillar bases in Dimmuborgir are large enough to house humans, leading to the term 'castles' being used often to describe them. 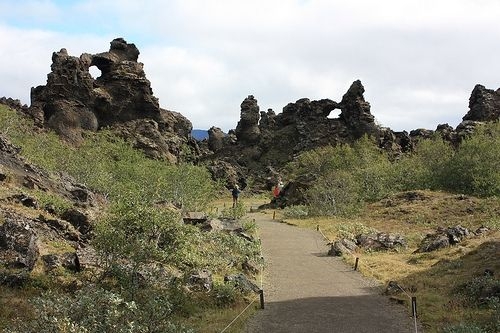 In Icelandic folklore, the area of Dimmuborgir is said to connect earth with the infernal regions whilst Nordic Christian Lore says that it is the place where Satan landed when he was cast from the heavens. 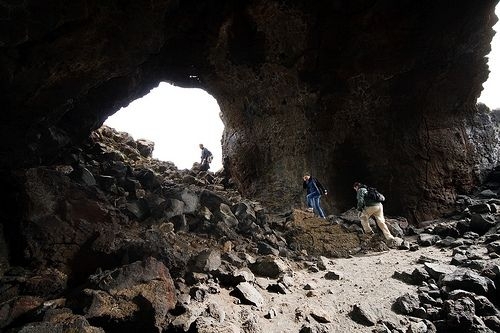 The area consists of a massive collapsed lava tube, formed by a lava lake that flowed in from a large eruption about 2,300 years ago. The lava flow surface still partially remains intact today. Whilst a summer visit shows all of the charm the area has to offer, a winter visit sees the Yule Lads (Santas), who have made Dimmuborgir their home.